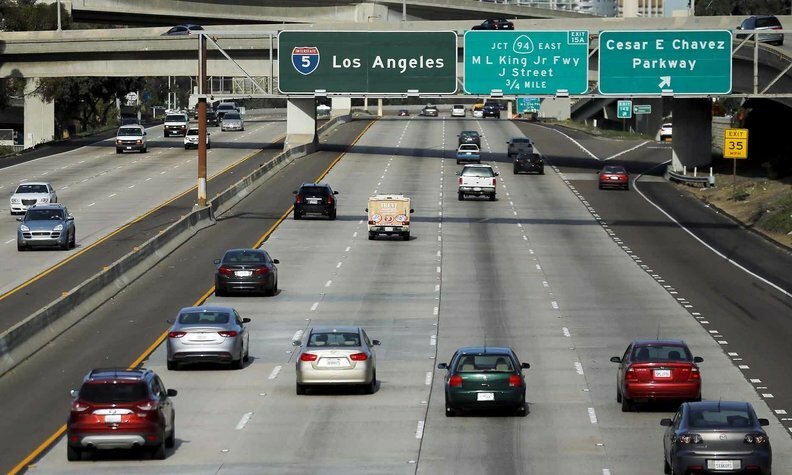 California last week sued the EPA over its failure to provide data used to justify easing federal vehicle efficiency standards. California and 16 other states had previously vowed to challenge any emissions rollback by the federal government. WASHINGTON -- The head of the Environmental Protection Agency said on Thursday the agency would revise its proposed freeze of vehicle fuel economy standards before unveiling its final regulation in the coming months. In August, the EPA and National Highway Traffic Safety Administration proposed freezing requirements for new cars and trucks at 2020 levels through 2026 but EPA Administrator Andrew Wheeler said in an interview at the agency's headquarters "our final regulation is not going to be the same as our proposal." "We've taken constructive comments, criticisms, concerns from a whole host of different interest groups," Wheeler said. "I hope our final regulation is something that everybody can get behind and support." Two U.S. officials briefed on the matter said they expected the EPA to wind up requiring a small increase in the yearly fuel efficiency gains, likely around mid-June, but said the precise figure had not been finalized. It is also not clear what flexibilities will remain in the final rule. Obama-era rules adopted in 2012 called for a fleetwide fuel efficiency average of 46.7 miles per gallon by 2026, with average annual increases of nearly 5 percent, compared with 37 mpg by 2026 under the Trump administration’s preferred option. The administration's proposed changes would also strip California of the ability to impose its own state emissions standards or require a rising number of electric vehicles. The proposed fuel efficiency freeze would hike U.S. oil consumption by about 500,000 barrels per day by the 2030s, according to administration officials. Wheeler denied the rules were written at the behest of oil industry lobbyists. "This has nothing to do with the oil industry. We're not doing this for the oil industry. I'm not doing this for the oil industry," Wheeler said. The Trump administration said in August that the freeze would save automakers more than $300 billion in regulatory costs and reduce the projected cost of a new vehicle by $1,850. It also said the measure would save lives because Americans would more quickly buy newer safer vehicles, a claim disputed by California and environmental groups. Automakers like General Motors Co., Ford Motor Co. and Toyota Motor Corp. oppose a freeze but want requirements reduced to account for changes in oil prices and consumer demand. All have pushed for a compromise deal to head off years of legal uncertainty. The White House in February ended talks with California to try to reach a deal. Reuters reported in March the White House had held meetings with automakers to push them to back it in its fight with California. California last week sued the EPA over its failure to provide data used to justify easing vehicle efficiency standards.. California and 16 other states had previously vowed to challenge any emissions rollback. Wheeler heaped scorn on California. "This is so much more about politics for the state of California than it is protecting the environment," Wheeler said. California's top air regulator Mary Nichols said in February the proposal flies "in the face of science, logic and any effort to protect public health."